What if you could get by with less sleep? 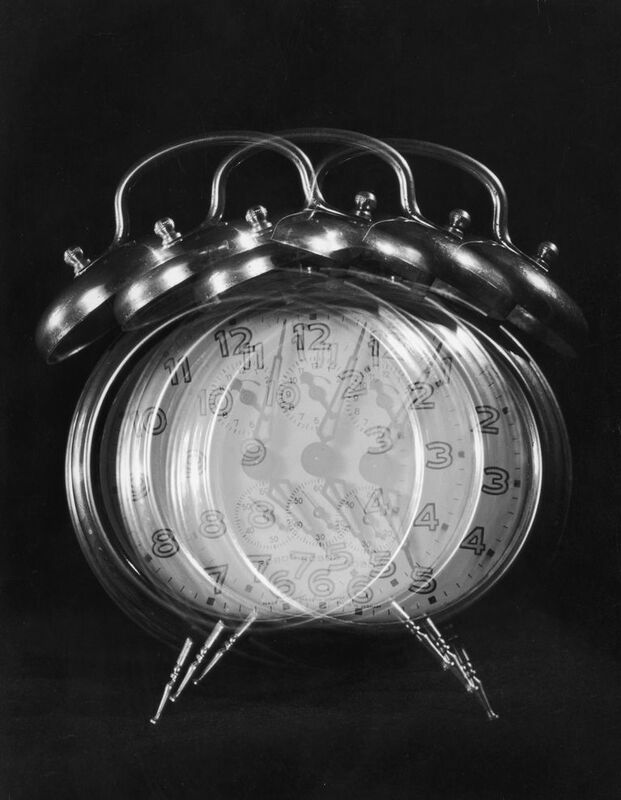 How would you spend an extra four to six hours of wakefulness per day? This is the promise (or perhaps the illusion) of a polyphasic sleep schedule— an adjusted sleep pattern where you doze in shortened periods scattered throughout the day and night. Consider the pros and cons of a polyphasic sleep schedule to determine whether you might be able to meet your sleep needs with different patterns. We tend to have a very Western industrialized idea of what a sleep schedule should look like. We believe that it should occur continuously over an average of eight hours overnight. We should fall asleep in 15 to 20 minutes, barely recall awakenings in the night, and wake up feeling totally refreshed. We should not require sleep obtained via naps later in the day. This may be ideal for a modern worker who is employed at a traditional job during the day. But what about different schedules that were more common in years past? Consider how sleep may have occurred throughout history There was likely a normal degree of variance. Our ancestors likely slept in groups for safety and protection. This sleep was probably more fragmented, since it may have been initiated shortly after sunset and extended until sunrise. Depending on the latitude and season, this may have exceeded natural sleep needs. The pattern may have contributed to prolonged periods of wakefulness during the night, to make up the difference between the total time in bed and the average sleep need. There is some historical evidence for sleep that was divided by a period of wakefulness. This may have been used during a night watch, by sailors, and in religious communities (such as monks and nuns) who observed a midnight matins service. References in literature describe a first and second sleep, separated by a period of wakefulness in the night. The waking interval might have lasted hours and included work, small meals, visiting with others, or other activities by candlelight. This waking period may have broken up a period of darkness that otherwise exceeded the ability to sleep. In general, the two-phase sleep resulted in a total time spent asleep (and awake) that did not vary from established sleep needs. In modern times, there has been some interest in using modified sleep-wake schedules to maximize productivity by reducing the total sleep time. This may appeal to solo sailors who must stay on course and cannot be asleep overnight. Shift workers may rely on short periods of sleep at intervals that are atypical. In many cases, these schedules result in a certain degree of sleep deprivation as the sleep need may not be met. Consider a few examples of modified sleep schedules that have been developed over the past century. Developed by a Harvard dropout named Buckminster Fuller, this is a routine that is dictated by fatigue levels with a certain degree of flexibility. The name is a portmanteau of dynamic, maximum, and tension. Fuller would work several hours, nap briefly, and then routine to work again. This around-the-clock schedule allowed him to have a 22-hour daily waking life. Unfortunately, 2 hours of sleep will inevitably cause significant sleep deprivation effects. This regimented schedule allows for 20-minute naps at four-hour intervals. This occurs like clockwork, regardless of sleep desire. It may not reflect circadian contributions to sleep and wakefulness. It also leads to two hours of total sleep daily and, in short order, sleep deprivation. For those who recognize they are not invincible, there is the Everyman schedule. It reflects the scientific understanding that a certain amount of consolidated core sleep is meant to occur overnight when darkness is present. It allows for three hours of sleep, typically during the night, and then three 20-minute naps in between these longer periods. As a result, a total of four hours of sleep is obtained —which is still not enough for most people. It is natural to wonder if a polyphasic sleep schedule can work to meet sleep needs and optimize daytime productivity and function. These schedules may reflect the powerful influence of sleep consolidation through sleep restriction (an effective treatment for insomnia). This may enhance the depth of the sleep that is obtained. Depending on the timing of the sleep periods, it may also align with natural circadian alerting signals. Many people feel sleepy in the early to mid-afternoon due to this, so it can seem natural to want to sleep then. Consider sleep in terms of appetite and food intake. There is no decree that says every human being must eat three meals per day in order to not feel hungry and function normally. There is a normal degree of variance. Just as our bodies tolerate varying caloric intake and even timing, the same is likely true of sleep. However, without enough to eat, weight loss, and malnutrition quickly follow. It is reasonable to be concerned about similar effects with sleep deprivation that often occurs with polyphasic sleep. Before adopting a modified sleep schedule, consider some of the potential benefits and pros and cons of strictly adhering to a polyphasic sleep schedule. Consider some of the benefits of adjusting your sleep schedule. Unfortunately, there are many potential drawbacks and cons of following a polyphasic sleep schedule. Sleep has an important function for health and well-being. It should not be neglected. When sleep needs are adequately met, most will feel better. If an atypical schedule is required, or selected, sleep needs of seven to nine hours for adults should be met to avoid the perils of sleep deprivation. In all cases, drowsy driving must never be tolerated due to the high potential for a serious accident. One day, humans may be able to curtail their sleep needs. It may be possible to increase the efficiency of the system. Less sleep may be obtained while waking feeling refreshed with preservation in daytime function. Unfortunately, presently, we still must submit to the limits of our mortal bodies and respect the processes in place to optimize our ability to sleep. Arnulf, I et al. "Ring the Bell for Matins: Circadian Adaptation to Split Sleep by Cloistered Monks and Nuns." Chronobiology International. 28(10):2011. Hurdiel, R et al. "Field study of sleep and functional impairments in solo sailing races." Sleep and Biological Rhythms. 25 July 2012. Mollicone, DJ et al. "Response Surface Mapping of Neurobehavioral Performance: Testing the Feasibility of Split Sleep Schedules for Space Operations." Acta Astronaut. 2008; 63(7-10): 833–840. Wehr, TA. “In short photoperiods, human sleep is biphasic.” Journal of Sleep Research. June 1992.